YouTube to iMovie: Here you can get the easiest way to download and import YouTube videos to iMovie (iMovie HD, iMovie 08, iMovie 09, iMovie 11 included). You might want to import YouTube videos to iMovie for editing. However, YouTube videos are in FLV format, which is not recognized by iMovie. So how can we import YouTube FLV videos to iMovie? No worry! Here we share the easiest way on how to download, convert and add YouTube videos to iMovie (iMovie 11 included) for editing. 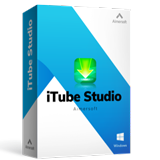 If you want to edit YouTube videos on iMovie, you can use iTube Studio to convert and export YouTube videos to iMovie. This YouTube downloader and converter can easily save YouTube videos to iMovie supported format and directly import video to iMovie for editing. No extra tools are required. The original quality of YouTube video will be kept. After you have download YouTube FLV to iMovie converter, launch the program in background. 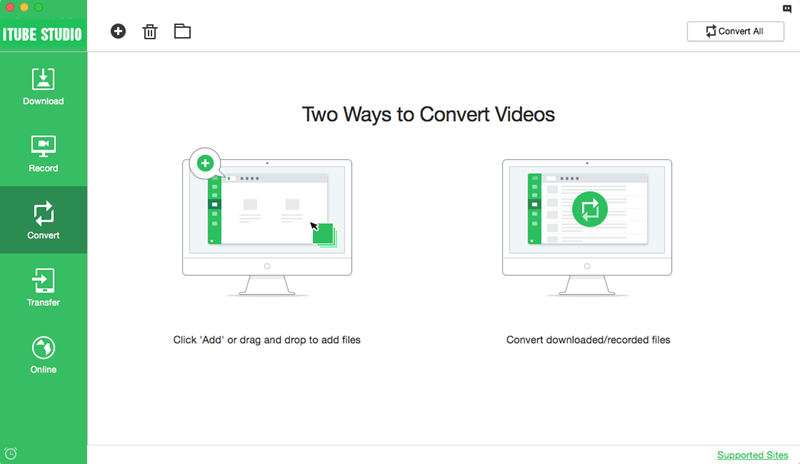 If you have already downloaded the YouTube video and just want to convert it to the format supported by iMovie, just click the "Convert" tab to start the process. Click the "+" on the uper left corner and select the downloaded YouTube videos that you need to put into iMovie from your local folder. 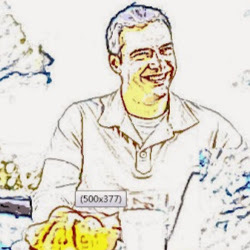 After importing the YouTube video, a format choosing window will show up. After the window shows up, it's time to choose iMovie as the output format. To do this, you need to select "iMovie" from "Apple Software" category. 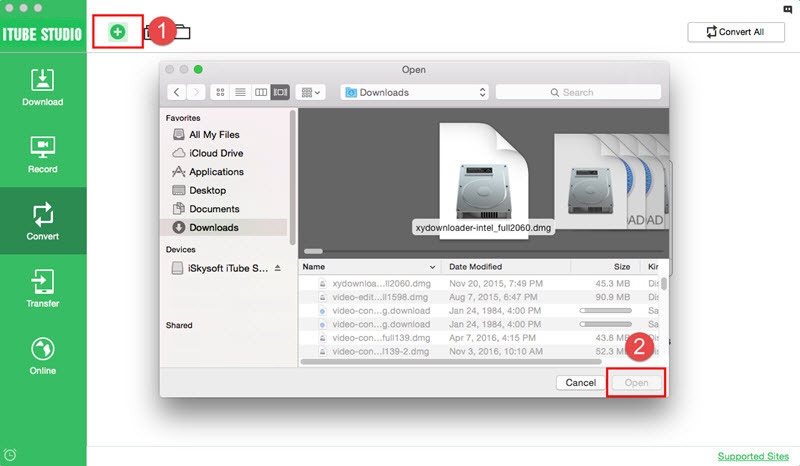 Press "OK" to start converting YouTube videos to iMovie supported format. Open iMovie from the Application folder or the dock, go to File menu, and select Import > Movies, find where output videos are saved. Choose the videos and press "Import". You will find that importing YouTube video into iMovie could be so easy. If you haven't download the YouTube Video yet and wanna to know the steps from downloading video from YouTube to adding YouTube video to iMovie. Try the following guide. It's the same step as before, but choose the "Download" tab first after launching the program. Run your browser and visit YouTube. When you play a video, you will see a "Download" button appearing at the top left corner of the video. Press the button and then the downloader will open and start downloading YouTube videos for you. 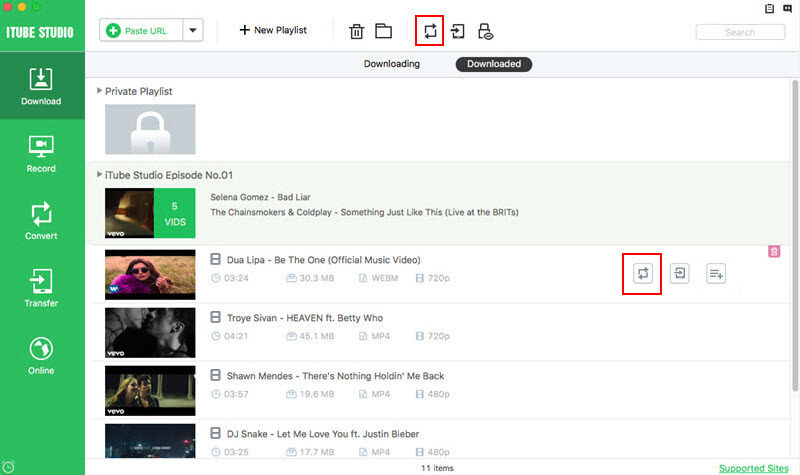 When the video is downloaded, you'll see the downloaded videos in list in the "Downloaded" tab. Hit the "Add to Convert List" icon to import your selected video to "Convert" menu. Now you can convert the downloaded YouTube video to iMovie by choosing "iMovie" from "Apple Software" category then press "OK". Now just simply launch iMovie and import the YouTube video like the way you add other videos, you will find the video could be added successfully. Just download YouTube Downloader for Mac (10.14 Mojave) and have a try! It's a piece of cake to import those videos to iMovie to create your own masterpiece! 3X faster download videos from YouTube and other 10,000+ online video sharing sites. 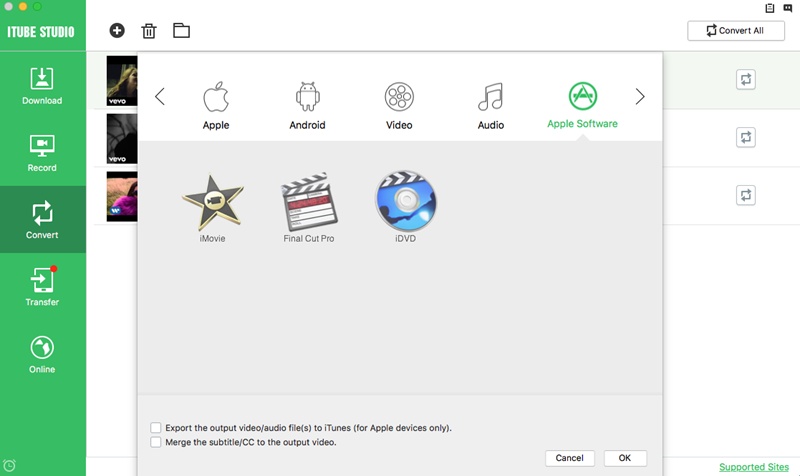 Convert videos direectly to iMovie, Final Cut Pro and iDVD supported formats. Preset video download or conversion format for iPhones, Android phones, tablets, game consoles, etc. Intelligently schduele for batch download videos, like Shutdown your Mac automatically after downloading. Download online videos and then easily transfer to mobile devices with USB cable.